Welcome to Sooty Chimney, a local chimney sweeping company. 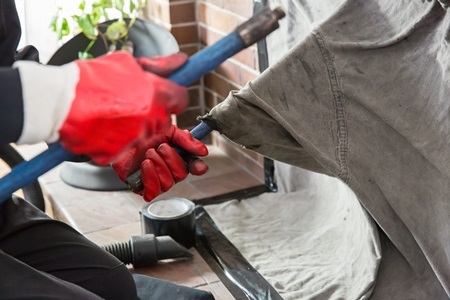 As a Guild of Master Chimney Sweeps registered chimney sweep, we have been trained and educated in all aspects of solid fuel appliances, flues and sweeping. Along with a comprehensive chimney sweep we are also fully qualified to service and maintain your solid fuel appliance. At Sooty Chimney we always adhere strictly to safety codes and ‘Industry Standards’ regulations and as certified members of the Guild of Master Chimney Sweeps we are fully qualified and insured. We work to professional and ethical standards, ensuring your chimney is kept clean and your home safe. As fully qualified Chimney Sweeps, we offer a full range of services including comprehensive after-sales and maintenance options. We also offer a free quotation. In addition we are more than happy also discuss any issues you may have and advise you on the most suitable solution for your needs.